Some call it Astris, others call it Astrida; both have the same unique meaning – the village of the stars. Two villages with similar names? Two separate places? No, they are one and the same – a beautiful area of unspoiled natural beauty with long, gently sloping beaches, rocky outcrops, olive groves and small fruit orchards, fields offering pasture for the local sheep and goats, small fishing settlements and above all the wide open spaces for the visitor to sit and marvel at the superb views of the major constellations of stars in the clear night sky. An idyllic, clean Mediterranean landscape. Sun, sea and a year round mild climate all combine here, in this beautiful spot, to provide the best growing conditions for olives, the most precious of all the Mediterranean fruits. In the olden days, in order to collect their crops, the inhabitants of Theologos came down on foot and on their donkeys, down foot paths and goat tracks that were lit only by the stars. So they named the place Astris, the village of the starry skies. 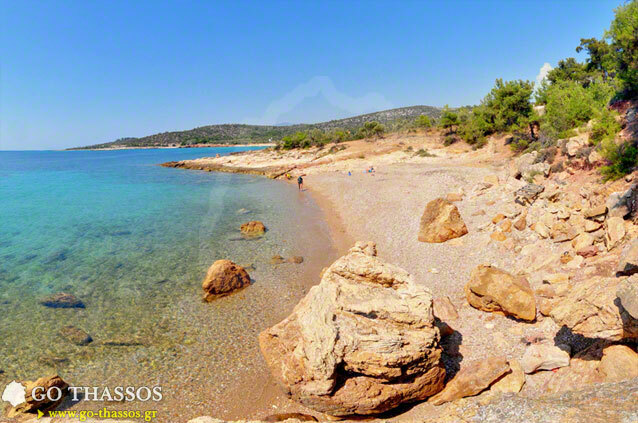 At the entrance to the village is a small picturesque beach, Psili Ammos - the 'Bay of Fine Sand'. The reason for this name is obvious. 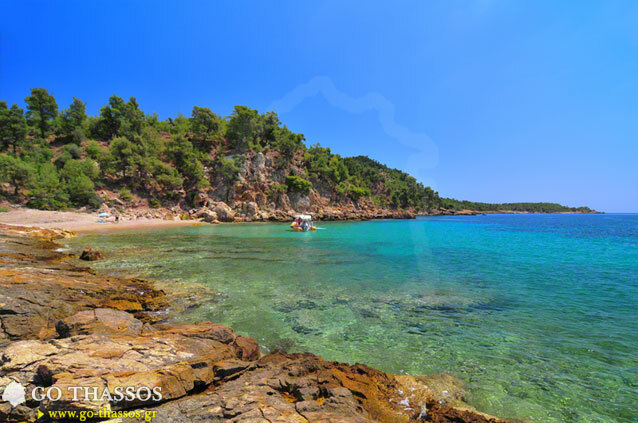 A deep and wide bay of fine, white sand shelves extending gently into the sea, surrounded by gentle tree clad hills, pines, olives, figs and planes framing this superb beach in a natural and peaceful environment. 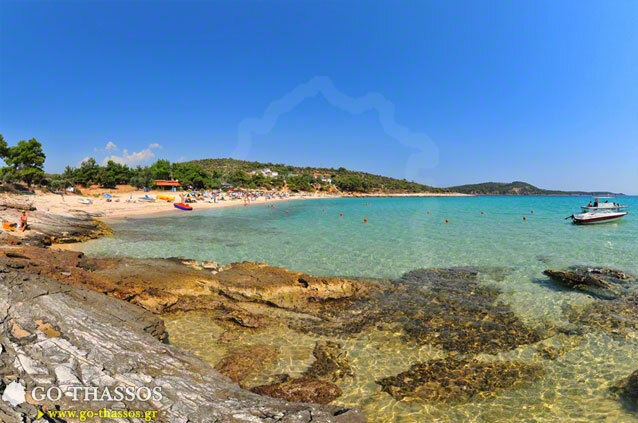 This is considered by many to be one of the best beaches on the island. 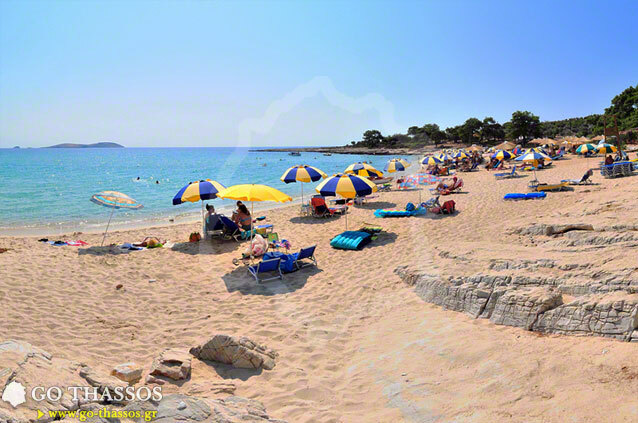 It has all the facilities one could ask for, with sun beds and umbrellas as well as cafes, bars and tavernas open all day, every day during the tourist season. For those seeking solitude and a little bit of adventure, one can look for the hidden gem of Giola, located near Astris and accessed only by means of a rough track. 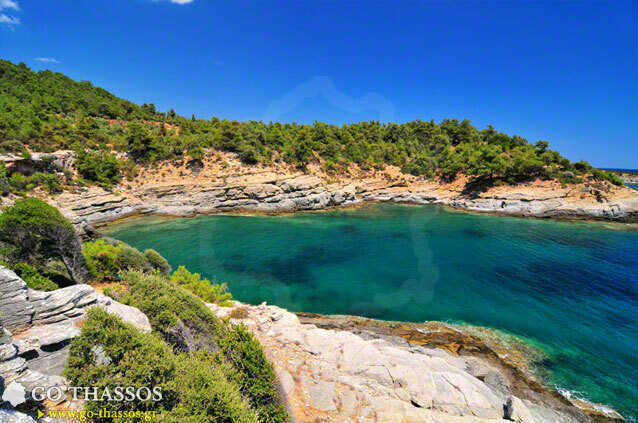 This is the most beautiful natural pool one can find hidden among the cliffs along the coast of Thassos. It is now common knowledge that, in this particular area, many ancient ruins and artefacts have been found, proving that this area has a long historical and archaeological interest. After years of excavations in the area, many ancient ruins have been uncovered, from outdoor storage warehouses for wine to defensive towers. There are also numerous old names of particular parts of the area, such as 'Kokina' which means 'Red,' and 'Misampelia' which means 'Tipsy'. These two names in particular show that the plain of Astris was once an immense vineyard during antiquity. The island 'Astriotiko,' or 'Little Astris,' overlooking the bay of Kalami was considered by the ancient historian Herodotus to be the island home of the Sirens. According to Homer, these mythical creatures lured travellers to their watery deaths by their enticing songs. 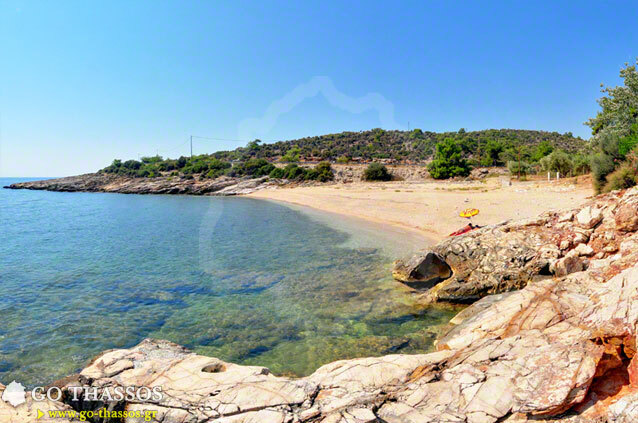 The legend says also that perhaps here is one of the places where Odysseus came on his return from Troy. A few kilometres south of Astris, underneath Aegean waters, lie ruins of an ancient city that was uncovered during recent underwater excavations. Some believe that it could very well be the ancient lost city of Atlantis, so for this reason, a programme has been launched by Greek and foreign research groups to answer this question. They aim to discover more about the fragments of the ancient underwater city, to study them, and to learn the history behind these treasures that have been hidden from man’s sight, under the sea, for so many years. 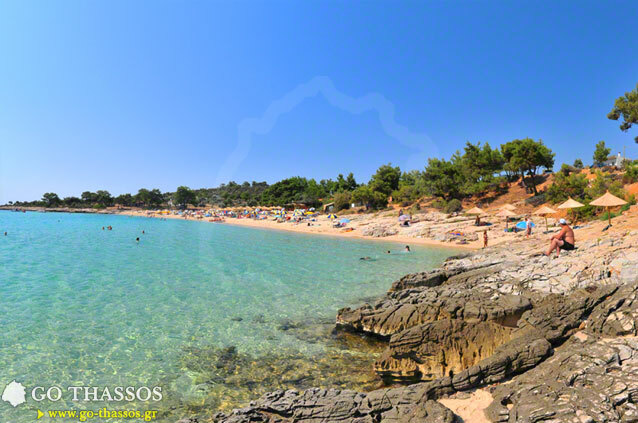 The entire area of Astris has a spectacular and unique natural beauty, numerous small beaches - some well equipped, others untouched, something for all tastes: Agios Vasilios, Bambouris, Amdela, Salonikios, Kalami, only to name a few. Also, a few kilometers away from Astris and in the direction of the Monastery of Archangelos, we find the bays Thimonia and Livadi, which will impress even the most demanding visitor with their excellent, often secluded beaches and beautiful natural landscape of hidden bays, formed by large vertical cliffs that descend steeply from the mountain sides tipping almost, it seems, into the sea itself. Holidays here are a unique experience for visitors. 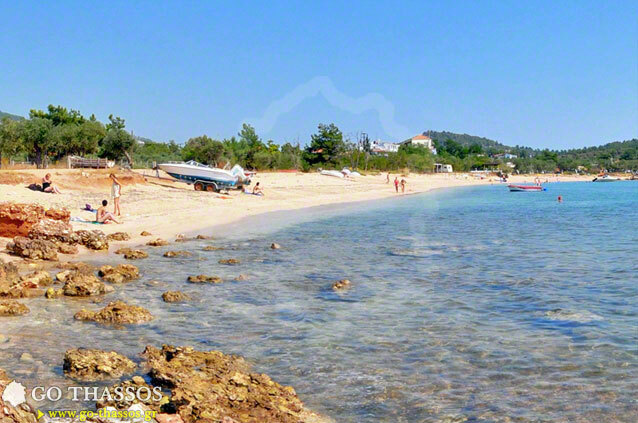 The village of Astris, and indeed the whole area, has had some investment in tourism infrastructure and development. 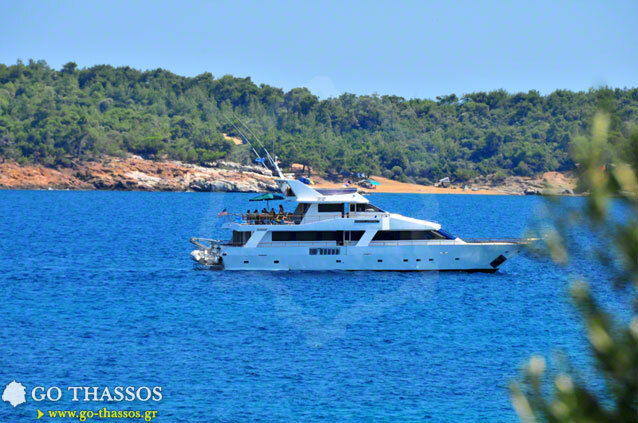 There are well appointed and well organised hotel facilities, rooms and tavernas with excellent fresh seafood daily, as the small island across the bay of Kalami, 'Astriotiko' is an ideal fishing ground for anglers. Astris is an ideal place for relaxing vacations, close to nature. Who could want anything more?